Who Can Invest in ELSS Fund? Best elss Funds or Equity Linked Savings Schemes are equity diversified Mutual Funds that majorly invest in equity-linked instruments (like shares and stocks) to provide market-linked returns and help save direct tax on income. Typically, 80% of the fund corpus is invested in equity and the remaining in debt instruments. 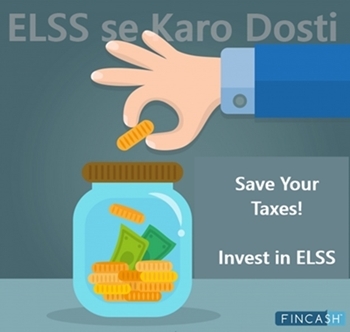 ELSS funds are also known as the tax saving Mutual Funds as they offer tax benefits under Section 80C of the Income Tax Act. Moreover, the ELSS Mutual Funds are open-ended, which means that the investors can subscribe in these funds as and when they want. Generally, ELSS Mutual Funds are suitable for all kinds of investors who are willing to take market-linked risks for Tax Planning and saving money. 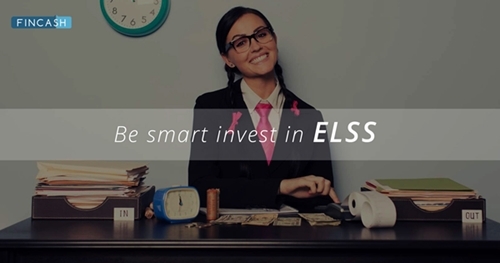 Anyone can invest in ELSS funds at any point of time in their life. However, it is suggested to invest in tax saving ELSS funds during the early stage of your career so that your money grows over time and you earn better returns. Hence, save tax and earn good returns both at the same time by Investing in best ELSS funds. Investors should be aware that amount invested in ELSS funds is locked for 3 Years. Investors can invest in ELSS mutual funds as lumpsum (One Time) of SIP (Systematic Investment plan). 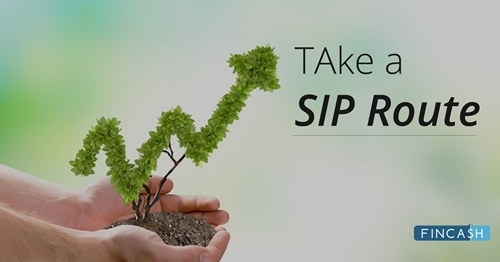 It is advised for beginners to generally invest using SIP as it better suited for them. Similar to ELSS other options under Section 80c includes : Life Insurance premium, Tax saving fixed deposits, PPF, NSC, EPF, Unit Linked Equity Plans (ULIP). One should know combines limit of saving under section 80c is limited to 1.5 Lakhs Per Financial year. *Above is list of top ELSS (Equity Linked Saving Scheme) having AUM/Net Assets above than 500 Crore and having fund age >= 3 years. BNP Paribas Long Term Equity Fund (ELSS) is a Equity - ELSS fund was launched on 5 Jan 06. It is a fund with Moderately High risk and has given a CAGR/Annualized return of 10.6% since its launch. Ranked 22 in ELSS category. Return for 2018 was -9.3% , 2017 was 42.3% and 2016 was -6.6% . Sundaram Diversified Equity Fund is a Equity - ELSS fund was launched on 22 Nov 99. It is a fund with Moderately High risk and has given a CAGR/Annualized return of 16.8% since its launch. Ranked 14 in ELSS category. Return for 2018 was -10.6% , 2017 was 38.4% and 2016 was 6.8% . expected amount after 5 Years is ₹1,074,189. One can choose SIP as an investment mode for invest in Tax Saving Mutual Funds (ELSS) as certain amount is invested every month. While investing through SIP method SIP benefits of Rupee Cost averaging are reaped as it scatter purchases every month and invest is made at an average price rather than at particular price which might be the case with Lumpsum Investments. As one might be saving in other tax saving intruments like ULIP, NSC, PF/EPF, insurance (under Sector 80c) one can decide whatever amount is needed to save tax after deducting other instruments and invest as Lumpsum purchases over the year or one time near end of Financial Year (Jan - Mar). Invest in best ELSS Funds via a SIP (Systematic Investment Plan) in the beginning of the financial year (i.e. in April) and not when the financial year is ending. Choose an ELSS Mutual Fund carefully among the list of best ELSS Funds, and invest in the same for a year instead of jumping to other tax saving ELSS funds every year. Good ELSS returns can be achieved when invested for 5-7 years, so it is suggested not to pull out money once your lock-in ends after 3 years. Try holding it for a longer duration to earn better returns. If you are a risk-averse investor and want a less-volatile fund, consider investing in a large-cap Mutual Fund. ☆☆☆☆☆ Rated 4.5, based on 242 reviews. Nice article. Highly recommended for guys who are looking to save tax under section 80c.